What Steps Should I Take After an Automobile Accident? How do I Know if I Can File a Lawsuit for My Injuries? What if I Was Partially at Fault? How Should I Handle the Insurance Company? Do I Need to Hire a Lawyer for My Personal Injury Case? How Much Money Will My Personal Injury Case Cost? Call the police. An officer will take a report of the accident which may prove essential in a future personal injury case. Seek medical help and keep all documentation of your injuries. 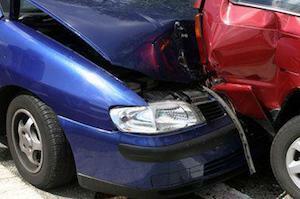 Report your accident to your insurance company. 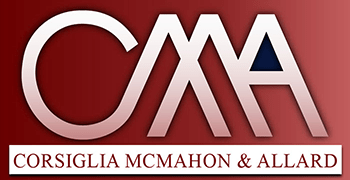 Contact a San Jose car accident attorney at Corsiglia McMahon & Allard, L.L.P. for a free initial consultation. Successful personal injury claims show that you were injured, your injury was caused by someone else’s negligence and there is insurance coverage or other monies available to compensate you for your injuries. Even if you think you were partially at fault for the auto accident, California is a comparative negligence state, so you may still be able to recover partial damages for your injuries. To learn more and determine if you have a personal injury case, speak with a personal injury lawyer in San Jose. During a free consultation with our firm, we will help you determine the best way to proceed. Dealing with an insurance company is never easy. It is always best to keep all interactions simple and to the point. Stick solely to the facts and limit statements to “I was involved in an accident on [date] at [time] in [location]. Here is my contact information.” Be careful not to say anything about how you did not see the other car or how you are sorry about the accident — it is easy for simple statements to be seen as an admission of guilt. Always talk to your own car accident attorney before you agree to sign anything. It is always important to see a doctor after an accident — even if you do not think you are injured. Sometimes internal injuries are not always apparent and it may take several days for symptoms to appear. Being examined immediately after the accident will allow you to receive the care you need. Insurance companies deal with accident claims every day.They know how to twist words and make a low settlement appear adequate. At Corsiglia McMahon & Allard, L.L.P., our personal injury attorneys are experienced in dealing with insurance agents and will ensure that your rights are protected. If you try to handle your personal injury claim without an attorney, you will likely receive less compensation than you would have if you had help from a lawyer. At Corsiglia McMahon & Allard, L.L.P., we take cases on a contingency fee basis. This means that you never pay us anything unless we settle your personal injury cas or get a verdict in your favor. If you lost a loved one or were catastrophically injured in an accident due to the negligence of another, contact an experienced Santa Clara County accident attorney. We offer free consultations and are able to accommodate clients who speak Spanish. We validate parking lots near our San Jose office and are available to meet with clients on evenings and weekends when necessary. To discuss how Corsiglia McMahon & Allard, L.L.P. can help you pursue the compensation you deserve in a California personal injury or wrongful death case, contact our office at (408) 289-1417.